Senior Year: This is when students truly find out what the term “college prep” has all been about! Seniors should not construe this a “cruise year.” Colleges and universities want students to continue to take the most challenging classes available to them and to perform to the top of their ability. Still, focus on academics! Contrary to the urban myth - grades DO count in the senior year! Most competitive universities expect seniors to carry at least FIVE College Preparatory, AP or Honors courses each semester, and they also expect seniors to maintain at least a 3.0 GPA throughout the year. Seniors should be taking their SAT Reasoning Test, Subject Tests, or ACT test for the last time during the fall of their senior year. The December SAT or ACT testing date is the absolute last date to take either of these tests for most fall college admission cycles. The deadlines for some college applications begin early in the fall semester of the senior year but vary widely from school to school. Seniors must be aware of DEADLINES! If they are applying Early Decision or Early Action, everything has to be done EARLY! Some colleges want the application in by a certain date and some accept applications on a "Rolling" basis. It is absolutely critical to pay attention to deadlines. Be 100% honest, colleges do verify everything and will "cancel" your admittance if they discover discrepancies, or if you don't complete classes you've listed on the application, or if your grades drop dramatically in the final semester. All classes taken should be listed on the "self-report" portion of the application, even those that were repeated later. If you are submitting the application online take the time to go through whatever tutorial or help sessions are offered. Read the "Online Application Do's & Don'ts" section below. *You receive a D or F in your senior year. *There are any changes to the reported classes for your senior year. *You have a change of address, phone number or e-mail address. October 31, 2019: Schedule your College Appointment with your Counselor! FYI - the meeting does not need to happen by 10/31, we just need students to have scheduled it by 10/31. The Counselors use SignUpGenius for their appointments. Students should reserve their appointment by 10/31. You can find the SignUpGenius link for each counselor on their web page. November 16, 2019: This is the deadline for students to request a letter of recommendation for any application with a deadline prior to January 15th. Counselors and Teachers must have a minimum of 3 weeks lead time for all recommendations! The Counselor's Checklist must be completed in order to request a recommendation from any teacher or counselor. November 30, 2019: This the application deadline for both the UC & CSU systems. Feb. 15, 2020: Some colleges also require the CSS Profile, found online at https://profileonline.collegeboard.com/prf/index.jsp; complete the CSS PROFILE before your earliest college or program priority filing date. At the very latest, you must submit your PROFILE Application by February 15. Mid-March, 2020 is when most UC and CSU schools begin notifying applicants of admission or denial. Berkeley and UCLA are the last to send notices. May 1, 2020: Commitment Deadline! Students must formally confirm acceptance or declination of an offer of admission by this date. May & June 2020: are critical months for seniors because last semester grades do count! Spring semester classes (that were listed on the student’s admission application) that are dropped or not passed with at least a "C" may result in a college rescinding its offer. Most competitive universities expect seniors to maintain at least a 3.0 GPA in the senior year. What do students need to do to prepare for the College Application process BEFORE scheduling an appointment with their Counselor must complete the 39 Counselor's Tasks that have been assigned in Naviance and mark them complete. You can access the Counselor's Task List by clicking on the 'About Me" Tab and then clicking on the "task" link. For more information about Naviance and the Counselor's Task list please go to our NAVIANCE page. 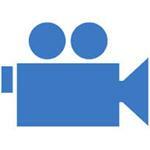 For an update on the new updates coming to "Naviance Student" please view the video below. SCHEDULE A COLLEGE APPOINTMENT WITH YOUR COUNSELOR no later than 10/31/2019! Prior to the meeting, students must have completed this Task List! 3. Colleges with their own unique applications. (i.e. MIT, Georgetown, UT, Austin, International Colleges and many Art/Music schools). Students should review the application procedures for these schools very carefully because the submission of documents (i.e. transcripts, letters of recommendation and portfolios) is much different than other schools. They may require you to "invite" recommenders via their application system, and/or to upload documents in a unique way (i.e. not through Naviance). In some cases, it may actually be necessary to mail things to them via USPS. So, don't "assume" that everything can be submitted electronically through Naviance/Parchment. Students need to read the application procedures carefully. Both the UC & CSU systems use what is known as the "A-G" list to establish what their course requirements are for admission purposes. Click Here for more information about the "A-G" requirements. Click here for more information about Private, Independent, Out-of-State & Highly Selective Colleges. The Common Application has been in existence for more than 20 years and is accepted by over 750 colleges and universities. Many schools accept it as the sole application document, while others may still require a supplemental form of their own to complete the application process. The concept is simple: Students complete one Common Application and submit it to any of the participating colleges. The procedure simplifies the college application process and eliminates duplication of effort. In fact, it has become the preferred method of submitting applications to most Ivy League schools. You can access it directly from the internet at: https://www.commonapp.org Many member institutions have their supplements linked to this website and will also accept the common application itself online! If a school has signed the Common Application agreement, then they have agreed to accept and process this application equally to their own form. If you have any doubts about whether a school you’re interested in accepts the Common Application you may check the aforementioned website. It should be noted that the CSU & UC systems do not subscribe to the Common Application. Most college applications, as well as transcripts and letters of recommendation, are submitted electronically these days. Parchment Exchange is the electronic documentation service that Naviance uses to submit documents to multiple application systems and schools (i.e. the Common application, the Coalition Application, UC, CSU etc...). 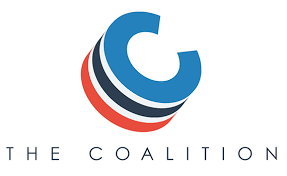 If you decide to apply using the Coalition App you will be given the option to have documents such as transcripts and recommendations outside of the Coalition Application locker. Because OPHS uses Naviance for document submission you should select the following option in the Coalition App: "I will submit all these documents separately through other means outside of the Coalition System." A student's high school GPA is one of the most misunderstood topics that we encounter. This is because there is no single GPA formula that applies to all students, in all situations. Every high school has the freedom to assign weighted grade points to their GPA's - or not, as they see fit. Furthermore, depending on who (or which institution) is viewing a student's transcript, they all have differing views on how to calculate the GPA, what classes to include in the GPA, and whether to assign weighted grade points. The most important thing to understand is that colleges do not use a high school's GPA formula for their admission decisions! For more information please refer to the GPA & Class Rank page on our website. Do NOT attempt to assign recommenders via the Common Application! Determine how many Teacher Recommendations your colleges require. Speak to the Teacher(s) in person to confirm that they will be willing to write you a recommendation. Confirm your request by submitting it to the Teacher(s) in Naviance via the "Letters of recommendation" link in the "Colleges" section of Naviance. For more information click here to jump to our Letters of Recommendation web page. Click here to print out instructions on how to use the "letters of recommendation" request feature in Naviance. For students who are interested in playing collegiate sports, the first step is to register with the NCAA Clearinghouse at the end of their Junior year. In addition to filling out all of the NCAA's registration materials, students must submit either their SAT or ACT scores and a transcript with their grades through the end of 11th grade. If they do end up being recruited students will need to make sure they have completed the necessary NCAA course work by the end of their Senior year, and submit a final transcript at the end of their Senior year. Click here for more information. More and more students are enrolling in community colleges across the nation, even as media attention focuses mostly on selective four-year colleges. Why are students choosing community colleges, and should you consider a community college as a part of your college search? For more information please refer to our Junior College webpage. This is not an electronic school. If they require a transcript or other supporting documentation it must be mailed via USPS. If your school or destination is not on the Naviance eDocs list then you may either provide a stamped pre-addressed envelope to the Registrar, or we will put the transcript in a sealed envelope for you to pick up and mail yourself. Please review the items at the bottom of the page for this option. pasting. Please indicate (PA) or (H) on the order form next to the schools/destinations that will require transcripts in sealed envelopes. Do… take the online tour. Before you start your application, walk through each step of the application on the virtual tour most online application sites now provide. When available, it's also a good, idea to download a PDF version of the application to use as a worksheet before inputting your application online. Do… create a username and password that you’ll remember easily. Record it and keep it in a safe place. If you lose your password, PATHWAYS allows you to create a new one, but if you forget your username, you’ll have to start a new application. Do... disable pop-up blockers in order to view the online instructions that will be displayed in pop-up windows. Do... make sure that your internet browser is set to accept "cookies." This is one of the key features that allows both Naviance and college application websites to have an interactive experience with you. Do… use the correct browser. Most online applications function only with Internet Explorer 7.0 or higher when using a Windows operating system. Or for Apple users: Mozilla/Firefox, Safari or Chrome. These online applications are highly secure; so older browsers are not usually equipped to handle the necessary level of encryption. Do... check your e-mail service's spam or junk mail settings. Make sure that you have set your e-mail service so that it will not block e-mail from the colleges you are applying to! Don't... use an overly cute or suggestive e-mail name. You want them to think of you as being intelligent and mature! Do... be very cautious about what you have posted online (i.e. Facebook, YouTube, Twitter, Snapchat, Instagram, blogs etc.... Colleges and employers now routinely review these as part of their background checks! Do... provide your Social Security Number. In spite of concerns about identity theft, college application websites are very secure, and they use SSN's to make sure they don't confuse your application with another student with a similar name. Do… follow directions and complete all steps. On each page and in every pop-up, scroll to the bottom to avoid missing any information. Don’t… forget to save your work. You usually have no more than 40 minutes per Web page before you’ll be timed out. Whenever you save an entry or move to a new page, your work is automatically stored, but if you plan to leave your application for any length of time — to go grab a snack or answer the phone — use the save/logout feature to store your application, then log back in. Don’t… compose your personal statement online. Take time to compose it in a word-processing application, such as Microsoft Word, save it as a text file, and then copy and paste it into the appropriate boxes in the online application. Do... print out copies of your personal statement to cross-check your work with your parents, counselor or an instructor. Do... carefully review the summary page. Look for any instance where it says, “no information added,” and if you didn’t intend to leave that area blank, click “modify” to return to the step where you can fill it in. Don’t...be afraid to ask for help. If you have technical difficulties, don't be afraid to ask the "Help Desk, " "Technical Support," or "Contact" links.